Actually the second version. The first kinda sucked. All EPP but now discontinued. 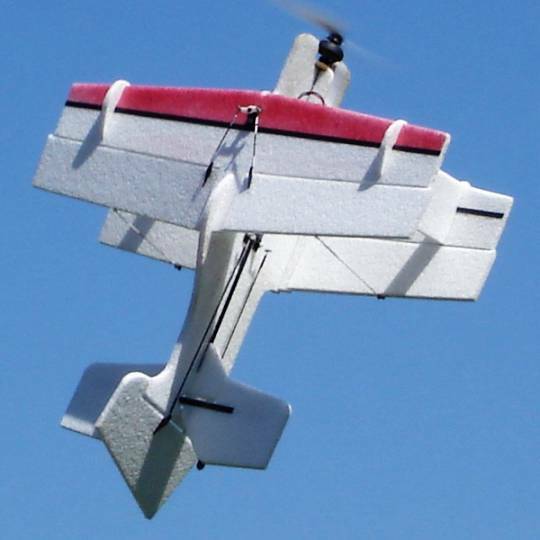 This was one of the most axial planes I've ever seen, a good stunter, and very slow flyer. Hover is a bit difficult and it is a little wind sensitive. I was forced to redesign it a bit on the next rev. Convinced that a plankish wing, a higher thrust line and less wing drag would lead to better performance, I designed this variant. I had to keep the original cockpit design, which is extremely cool. The result? It's a much better stunter, but even more unstable in hover. 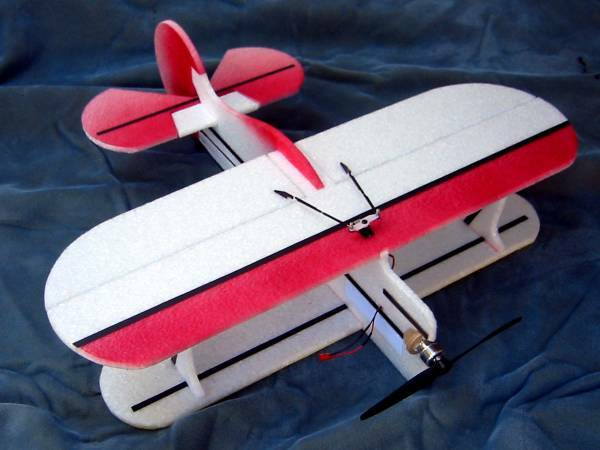 A fun plane, though, and my staple for many months. Looks great, too.